Carports - Aluminum Carports, Patio Cover - We got you covered! Like everything else, your car requires constant maintenance and care. Using aluminium carports in your house is one way of making sure your car is prevented from damage arising from outside conditions. Carports in Hawaii provide your car coverage from heat, rain, and debris. In a place like Hawaii where you enjoy tropical climate majority of the year, your car can face more damage by being outside than in other locations. In this article, we will discuss why you should opt for a Carports in Hawaii. Carports give you an excellent opportunity to save your car from the tropical conditions faced on the Islands. 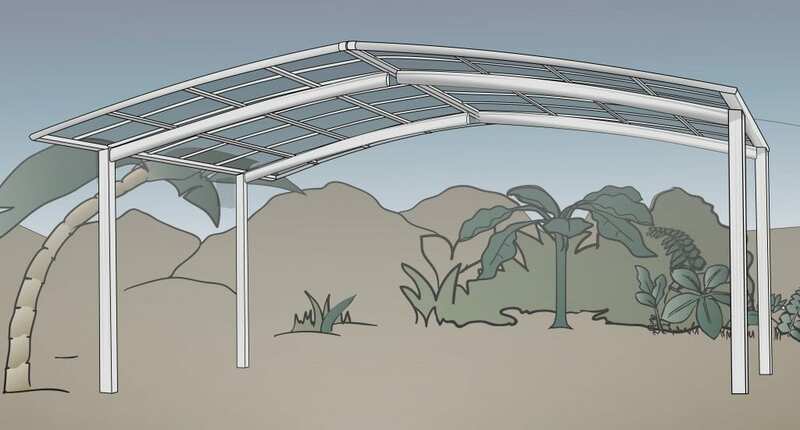 By giving your car a cover, Carports in Hawaii offer protection from the sun and rain all year round. Carports are generally set up close to your home. Because of the proximity of the carport with your home, it is easy for you to quickly cover the trip from your car to the inside of your house. In addition to the safety aspect, it also brings along a lot of convenience for the user since it is easier for the user to transfer heavy grocery bags from the car to the house. Keeping in mind the intensity of summers in Hawaii, wouldn’t you like something that requires less time for you to walk in a hundred degree Fahrenheit temperature? In addition to his, Carports in Hawaii also prevent your car from theft or other harmful activities. By choosing to install a light in your carport area you can keep the thieves and other criminals away from your car. There are a variety of carports that you can choose from. If you require some extra space for your tools or equipment you should opt for a carport that is made of walls. This will enable you to have extra room for your tools. In places like Hawaii, people generally look for ways to protect their belongings from the tropical weather. When buying a home it is normal for people to look for carports. Hence if you choose to install a carport in your house you end up adding extra value to your house and will have an advantage when selling the house. 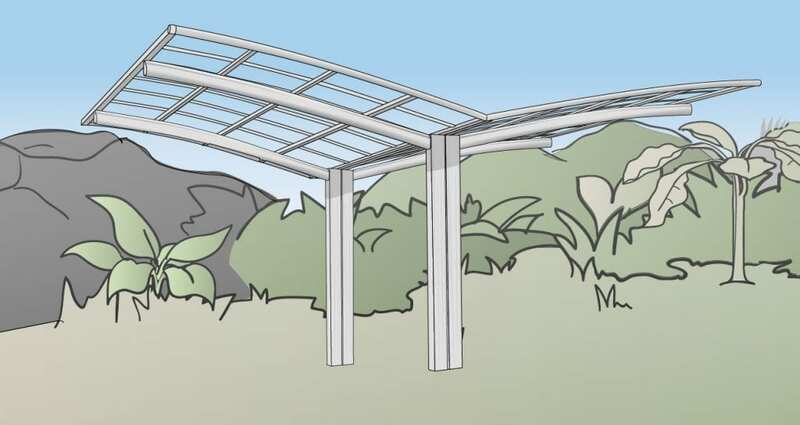 By giving you protection from weather conditions, the Carports in Hawaii also has the unique ability to extend the life of your car and prevent it from damage caused by outside conditions. So a carport doesn’t only add value to your home but also to your car. Another benefit that can be derived from the usage of aluminium carports is the ease of use. Carports are incredibly easy to use and to install. Unlike other installation processes, carports do now require a lengthy installation process. Also, there are no gates to be opened or any hassle involved when using carports. Apart from all the functional benefits, aluminium carports also give your house a great look. By using your carport area efficiently you can transform your house into a unique and stylish looking house. What kind of vehicles will be parked under the carport? How many cars will be using the carport? Where exactly will the carport be situated? What kind of material will be ideal for the carport in your situation? – Will you need extra storage as well? So, what are you waiting for? Look at all the different varieties of carports available and decide which one is right for you! Please check our selection of products.